Tnpsc VAO Exam Syllabus Exam Pattern in Tamil and English Pdf File Download: Dear Tnpsc Aspirants, Download Tnpsc VAO Exam Syllabus in Tamil and English for your upcoming Tnpsc Village Administrative Officer exam. Syllabus is a essential thing contains required subjects for the exam. One who writting exams must go through the syllabus first then start preparation is considered as good preparation method. Tnpsc VAO Exam Syllabus in Tamil and English are given here as Pdf file format for your download, Click below link and get the syllabus. Tnpsc Vao Exam Pattern 2017 Also updated below. VAO Exam conducted by the Recruiting Organisation TNPSC usually selects their Candidates by an Written Examination. The appointment will also done by the District Option and Community based which was exercised by the Candidates while applying for the Examination. Now let us look into the topics what are going to be asked for the Examination. 4. HISTORY AND CULTURE OF INDIA AND TAMIL NADU. 8. APTITUDE & MENTAL ABILITY TESTS. The total Number of Questions which will be asked in the Examination is 200 Questions. The Maximum Marks in the VAO Examination is 300 MARKS. Now Winmeen Team believes that you are clear now about the Syllabus and the Exam Pattern about the upcoming TNPSC VAO Examination which is going to be held for the year 2017. Even now Candidates would still have some doubt where you can refer all these Syllabus and the Study Materials. The basic Study Material to cover all those syllabus topics are the Sixth to Twelfth Samacheer Kalvi Books. But since the Topics are vast it is very hard for you to cover all the books in a specific period of Time. But don’t worry Aspirants Winmeen Team is always there for you. 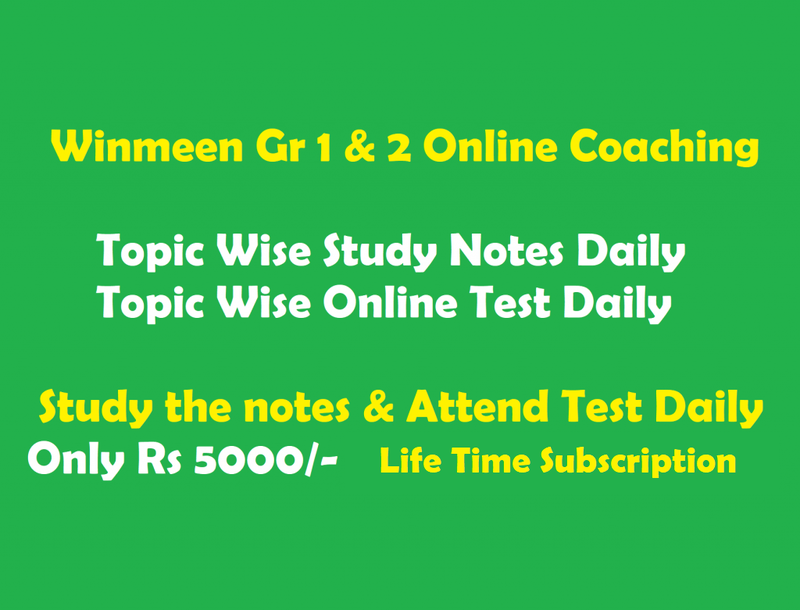 To know about the Important topics Please follow our Website WWW.WINMEEN.COM We have provide all the sectional topics so that you will have some real and easy ideas to prepare for the examination.